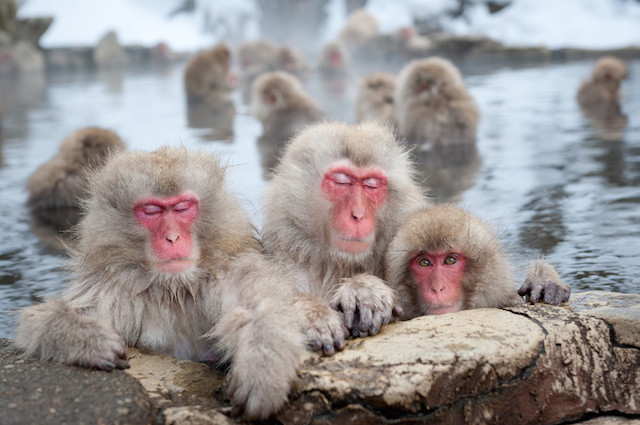 Home > TRAVEL > NAGANO > SPOT > Snow Monkeys Bathing in Hot Springs? See Them Only in Nagano, Japan! Snow Monkeys Bathing in Hot Springs? See Them Only in Nagano, Japan! To those who love monkeys, did you know there is a really interesting place famous for its monkeys in Japan? It’s called JIGOKUDANI YAEN-KOEN. What is so interesting about it? The monkeys soak in hot springs! JIGOKUDANI YAEN-KOEN is located in Nagano prefecture and you can see the bathing snow monkeys there. Every winter, a lot of tourists visit this place to see these cute animals. They look so relaxed and happy to see the visitors. 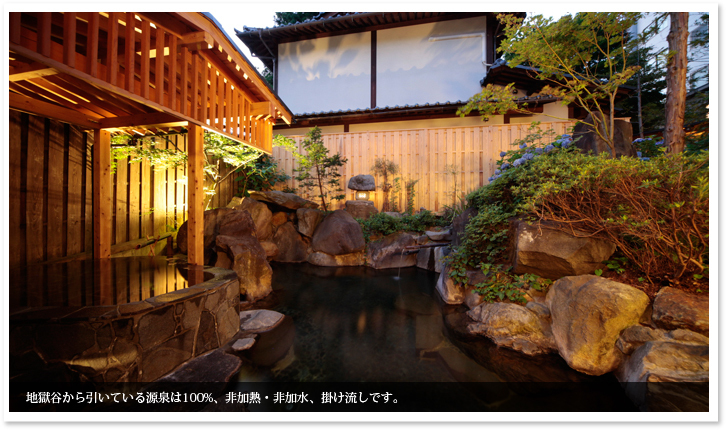 Moreover, this is the only place in the world where you can see them bathing in the hot springs! Some parts of the road on the way to JIGOKUDANI YAEN-KOEN are frozen and are hard to walk on without slipping. Wear some comfortable winter shoes when going there. Please don’t touch the monkeys. Though sometimes they can come near you, they are wild untrained animals. If you touch them, they might scratch or bite you. If you feel like taking a bath yourself after seeing the monkeys, of course you can’t soak in the same hot sprain as them, but there are lots of “Onsen” places near from Kanbayashi bus stop. Before you go back to place you stay at, take a bath just like the monkeys do, it will make you feel great for sure! To get there, take a bus from Yudanaka station, and get off at Kanbayashi onsen bus stop. One way costs 280yen. For those who go to Jigokudani Onsen from Nagano station, there is a special set ticket called SNOW MONKEY 1-DAY PASS. Though it costs 3,200yen, you can use it for a train that goes between Nagano station and Yudanaka station, a bus which rides between Yudanaka station bus stop and Kanbayashi bus stop and even as an admission ticket for JIGOKUDANI YAEN-KOEN.You can use the pass any number of times on the day you bought it .After you arrived at Kanbayashi station there is a 35-minutes walk to JIGOKUDANI YAEN-KOEN. Winter Wonderland in Nagano, Japan!